I’ve just finished reading Jim Wallis’ book God’s Politics: Why the Right gets it wrong and the Left doesn’t get it. I’m not going to pretend like I understand politics, but I do want to mention some noteworthy insights I’ve received. #1 Certain Issues transcend Partisan Ideologies i.e. neither the donkeys nor the elephants get it right. The greatest flaws of both parties are the inconsistencies of human life. Republicans are pro-life, but anti-gay, while Democrats keep religion completely out of the conversation (once again I am no poli-sci expert, these are gross generalizations). The religious right is guilty of exploiting religion for political gain, while the left have completely ignored the issue of religious morals. One side manipulates and the other rejects. The Reds want guns and capital punishment, while the Blues want abortion. And behind both these groups are the filthy rich corporations trying to keep in legislation that protects the rich and oppresses the poor. Policies that keep good schools in good neighborhoods good, but give nothing to inner city schools all the while measuring out financial support based on academic performance. Money talks in both parties. Money advocates. Money pushes the envelope. Sadly, we are a nation that worships mamon. Case in point, if you look at the board of directors of churches, they’re usually the financially savvy. However, arbitrary partisan ideologies are superficial and ineffective. They rarely seek out the poor and outcast, the foreigner, the immigrant, the undocumented seasonal hire, the single mom working at Burger King, the foster children getting beaten up in foster homes. The question that should be on the forefront of both parties is: where are the poor? And this is not just a moral ethical issue. This is a religious theological issue. Why is the church not asking this question? “A Budget is a moral document”-ibid. What does ours say about us? Often people bring up the question of personal responsibility, that the government should not do everything for you. I agree I am against co-dependent relationships, but I also personally am on food stamps right now. There are times when people need extra support, there are times when welfare with an expiration date is necessary. Everyone has needs a helping hand. But rarely do politicians rub elbows with the poor and struggling. Rarely do they live in the same neighborhoods as those who are directly affected by the legislation they make. They are usually coddling up with the rich and famous to fund their campaigns up in their ivory palaces. It is nonsensical. Why are the legislators making decisions/budgets for a population of people they have no connection with? Why are the ones who start wars not the ones fighting in them? If they were at the forefronts of the wars they create or in front of the barrels of the weapons they sell there would be less wars and more diplomacy. This is the age old principle of not “throwing the baby with the bath water.” Yes there has been abuse in the church. Yes, there has been abuse in politics, but that does not mean we disengage or become emotionally absent. It means we study theology deeper and find a better hermeneutic. It means we study Christianity from Christ. And in the case of politics it means we vote and hold our elected officials accountable to the promises they made during their campaigns. You’re just one person you’re not going to change anything. It’s not our job to fix this. Christians really shouldn’t be involved in politics. Jesus said the poor will always be with you. What’s the point, things will never change. Faith has become a matter of who you sleep with and whether it’s pre-marital or not or whether you are married or not. Yes, adultery is a sin, but so is economic injustice. God rebuked his people often for their idolatrary and infidelity, but he also called them out constantly for their dishonest scales, selfish greed, and oppression of the poor. God cares very much for the conditions of the orphans and the widows, and to ignore the tie between your faith in Yahweh and societal relations is to be a blind hypocrite. The issue of abortion often comes forward not out of concern for women and children, but as a political play. If you’re pro-life you’re red, if you’re pro-choice you’re blue. It’s a method of manipulation. Holding one of those labels can get you a seat in a political office, but who’s benefiting, the politician or the woman or the child (pro-lifers want the child born, but do they support the born child? Do they support the mother regardless of if she keeps the baby or not)? Furthermore, Planned Parenthood provide services other than abortions. They provide contra-ceptives and fertility medicines. Reverend Russel Moore wrote, “No one is more pro-choice than Satan during the drive to the abortion clinic, and nobody is more pro-life than Satan during the drive home.” Women should not be shamed or punished or guilt tripped, that is the work of Satan the accuser. Abortion is a very deep issue and I’m not rallying support for either pro-life or pro-choice, but support for empathy and understanding. Instead of boycotting abortion clinics, how about coming beside the women before they reach that point, when they are elementary students in their under funded schools? What about filling in the gaps of missing parents/ family/social structures instead of punishing them and shaming them. How about acting like the church and not a political institution? “The peace movement sometimes does underestimate the problem of evil and in doing so weakens its authority and its message.” ibid. Peace cannot take place if justice is not served. There will never be peace as long as unjust societal systems are in place. It’s the same with love and justice. Don’t tell me that you love me if you do nothing to stop the person oppressing me. Do not read Bible verses about forgiveness to a young lady who has been raped if you do not prosecute the man who raped her. Don’t tell me about a loving God if he does not deal justly with those who have manipulated and exploited me. Christians love peace and they love love, but do they love justice? Do they love justice enough to get off their couches and computers? Do they love justice enough to allot their hard earned tax dollars to organizations that provide aid instead of to their 401K’s? #6 Racism is not a partisan issue. I just read an article by Rev. William J. Barber II entitled, Subverting Democracy is not Partisan. It is immoral. He writes that, “Racism is not a liberal or conservative issue. Subverting democracy is not partisan. It is immoral.” He is the President of the North Carolina NCAAP. A couple weeks ago he was on tour with “black, white, and brown, Muslims, Unitarians, and Baptists.” They brought their Higher Moral Ground Declaration to the RNC, but were refused entrance. Their ministers were also threatened to be arrested as they paused to pray for the nation. And yet after holding revival services in Philly. They delivered the same declaration to the DNC and leadership invited Rev. Barber to speak on the final night of the convention. Get up and voteGet involved. Meet your alderman. Get educated. Because my hope is not in a political party or candidate or church leader I can hold on to it. My hope is grounded in the One who said, “I know the plans I have for you. Plans to prosper you and not to harm you. Plans to give you a hope and a future.” God said this to His people before he exiled them. Throughout the journey God went on with His people through slavery, the wilderness, and foreign oppression. My hope is also strengthened the crowd of witnesses I find online and in libraries. 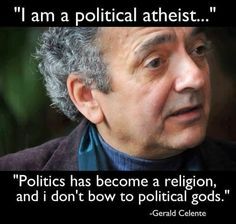 I find believers who put their faith to practice even when it does not toe the party line or line up with the majority. They risk their lives and wallets for justice. Hope is a choice. What about you? What did you think of Rev. Barber’s talk at the DNC? What do you think of Christians and politics? Should they mix or not mix? What is the message of the Prophets to our generation today? * How did he become like that? * Does his church bear some responsibility for him becoming like that? * Now that he’s like that, does he know that this is what he has become? * Is he willing to humbly listen to those he abused and be called to account? Is he even accountable to anyone in the church? * Will anyone in the church confront him? Will he be disciplined? Put on probation? Be publicly sanctioned? Rebuked? Called to repent? * Or is the church simply going to let this slide and let him go on as he is, since he is loyal and committed to the church? Ben, are those questions rhetorical? Are you actually searching for answers? > Is he willing to humbly listen to those he abused and be called to account? As Joe already answered, he won’t. Though humbleness is a concept that narcissist cult leaders know very well – they exploit the humbleness of their followers and they can pretend to be the most humble person in the world – in reality, when it comes to the crunch, they will never humble themselves. Did you ever see a top UBF leader really humbly listen, really care and admit any real sins and mistakes? We have made enough experiences with them in the past to know this never happened and will never happen. Why is this? I guess it has something to do with the fact that the leaders of cults are narcissists with covert-aggressive personality types. That’s something that in all of my years of UBF I never understood. I always believed the leaders were the same kind of people as I was, maybe a little less sinful, maybe a little wiser, maybe a little older, maybe having better leadership qualities, but essentially, so I believed, they had the same mindset as I had. Only later I learned that they were totally different. While I always struggled with feelings of guilt and therefore never dared to speak up, they never seemed to feel any guilt, even when they had lied, misappropriated money, tortured people in the name of “training” and sent women to abortion clinics. When approached by the reformers in the year 2001, Samuel Lee sent them away saying “God will punish me if I did anything wrong”. This either means that he believed he was without sin, or that no human had the right to hold him accountable. Do you see this huge difference in mindset? This difference is what keeps cults going. The ordinary and naive members cannot even imagine that their leader is not humble. The only conclusion that they can draw is that he must be so wise and free of sin that he doesn’t ever need to repent for real sins. Guilt-tripping – One thing that aggressive personalities know well is that other types of persons have very different consciences than they do. Manipulators are often skilled at using what they know to be the greater conscientiousness of their victims as a means of keeping them in a self-doubting, anxious, and submissive position. The more conscientious the potential victim, the more effective guilt is as a weapon. Aggressive personalities of all types use guilt-tripping so frequently and effectively as a manipulative tactic, that I believe it illustrates how fundamentally different in character they are compared to other (especially neurotic) personalities. All a manipulator has to do is suggest to the conscientious person that they don’t care enough, are too selfish, etc., and that person immediately starts to feel bad. On the contrary, a conscientious person might try until they’re blue in the face to get a manipulator (or any other aggressive personality) to feel badly about a hurtful behavior, acknowledge responsibility, or admit wrongdoing, to absolutely no avail. So here you have your answer, Ben. This last sentence is what all cult victims experienced, and what we also all experienced in UBF, it became totally apparent to me in the 2001 reform movement. And even now, 15 years later, still no official has admitted the wrongdoings, which only confirms my conclusion that UBF leaders show all the typical traits of cult leaders. I have also experienced this later outside of UBF. One Sunday, my church at that time had invited a guest speaker who had some fame/authority in his circles. He started to preach about some OT book, asking us questions about the content of the book etc. in a way that made us all feel bad for knowning so little about the Bible. I immediately had the same feelings as in UBF: I felt bad, guilty for being so unspiritual and not reading the Bible often and deeply enough etc. Until it finally began to dawn on me that his authoritarian behavior, his ostentatious well-versedness in the Bible and his pointing out our deficiencies was exactly the way how cult leaders manipulate their followers, and that he showed all traits of a typical manipulator. Such people can easily get some fame and authority in Evangelical circles, see also the recent case of Mark Driscoll. It also began to dawn on me that it was really not such a feat to boast with Bible knowledge and make the auditory feel bad: He knew the passage that he was going to talk about it, he prepared the day before, while the auditory didn’t know what he was going to talk about and didn’t prepare. He just exploited this unfair advantage. Actually, I think the point is not that one party or the other ignores religious morals. The point is that the parties have a different idea of what religious morals are. The right side has a more conservative, antiquated understanding, while the left side has a more liberal, modern understanding. You may say that only the conservative view is the “real” one. But that sounds a bit like the Pharsisees in their confrontation with Jesus. Jesus showed us what’s really important, what religion is all about. And guess what, he never spoke about abortion or homosexuality. Instead, he pointed out that we shall love our neighbour and even our enemy, and exemplified empathy with the poor and their problems of poverty and health. Isn’t the left side of the political spectrum so much closer to what Jesus exemplified, when they want to introduce healthcare for the poor? Isn’t the right side so much farther away when they say America should bomb their enemies and build walls to their poor neighbors? Again, the question is not how much the state whould be influenced by Christian values, but what the core Christian values really are. I don’t think it is is fair to say that they want abortion. They just don’t want the state to prohibit it. There are many kinds of sinful behaviors that neither party wants the state to prohibit – but that does not mean that these parties do approve or promote these behaviors. I can imagine that a state fights against abortion by other means than just prohibiting it: By better education, better welfare programs that allow poor single women to raise their children, supporting family planning centers, mandatory consultation etc. Obviously, the state cannot and should not just prohibit all kinds of sinful behaviors. Even the right-wingers would not go so far as to have adulterers be stoned to death. They also left the OT laws behind them. The left-wingers just do the same more consequently. Regarding the term “pro-life”: How can they use this term when at the same time they allow people to carry deadly weapons, advocate for the death penalty, create a system where poor people have to die because they cannot afford health treatement, when they destroy the environment to make it hostile to life, bomb people in other countries and have drone operators kill them with their joysticks and a click of their finger without mercy and discrimination? So, yes I think Christianity and politics should mix in that Christians should promote their values, knowing that they are the best for society. On the other hand, they should not go so far as to regulate everything and forbid non-Christian behaviors. If you go that path, you could just as well forbid other religions and do away with religious tolerance. And in my view religious tolerance includes that you respect people with other world views – liberal Christians, atheists, humanists etc. i.e. even if they don’t follow a traditional “religion”. What some American conservatives try to do is introduce a Christian variant of the sharia. That’s really bad. Again, if you look at Jesus, you see that he didn’t try or bother to change the politics in his country. He didn’t bother to punish the obvious sinners at that time. Quite to the contrary, he drank and eat together with them. God does not want people to follow his laws because that’s the only accepted way of living in your society. He wants people to follow his laws from their free will, because they love God, and love one another, not judge one another. I think we need to discuss Sharia Law much more deeply, as there are many views of it. But I agree with you. Religious tolerance and religious freedom are absolutes. You are right that I shouldn’t make a blanket statement that the “left” ignore morals, because that’s not true. “The blues want abortion” is also not true. I don’t want to make it sound like one side is amoral and the other side is righteous. In the end both sides are fallible. Tony Campolo said, “People says hate the sin, love the sinner.” He modified it to, “Hate the sin within you.” I did not mean for this article to be shaming of the left or right, but to promote political views to be prompted by values. It’s interesting that you said that Jesus didn’t try to change the politics in his country. Maybe he didn’t run for political office, but it’s undeniable that once you change the value system the political climate changes. And Jesus Christ was the most radical leader of all. He established a kingdom that has never ended and will never end, with followers that have promised utmost allegiance to Him. In a sense you can say He is the most political of all, but not in the conventional way;). I heard that once the author Upton Sinclair read a passage from the prophets about economic justice to a bunch of pastors, but attributed the quote to an anarchist female author of the time and all the Pastors said that she, the author, should be deported. If the Bible doesn’t make you uncomfortable, you probably aren’t putting it to practice. Reading the OT about Jubilee and all property returning to their rightful owner after 7 years and all debts being abolished, and no interest on loans and ordinances explicitly commanding God’s people to look out for the foreigner and the widow, when I read passages like that I see that the Lord is very much concerned with economics and societal powers. I do not see a disconnect between faith and actions. If people don’t smell Christ on you. If people have to ask you if you’re a believer or not, something’s up. I don’t care if you show me your membership to a church or attendance record to SWS. Of course that doesn’t mean that we take the OT and copy paste it to today’s society and punish anyone who does not follow it. I agree with you completely on the points of religious tolerance and freedom. After speaking to refugees, I see the imperative of religious freedom. So many people are stateless because they are of the “wrong” religion, so many are persecuted and threatened by death because they speak the “wrong” language or of the “wrong” sexual orientation or the “wrong” ethnicity. It’s disgusting and heart-breaking quite frankly. So although I yearn for God’s law to be lived out, I also understand the freedom of choice. It’s this tension and conflict of living out God’s value system even though your society doesn’t appreciate. And I’m talking about the value of self-sacrifice, standing up for the vulnerable, putting your life on the line for the sake of someone else. Once you start doing that you’re going to stick out like a sore thumb. And people are going to tell you to shut up because they don’t want to be questioned or told that they are doing something wrong. When George Koch invited a POC to his predominately white church one man said that he would wrap himself in an American flag and the Pastor would have to walk over his body. If we start calling out our society on the ingrained and generational systematic injustices, it’s going to get ugly. The easiest thing to do, is to be quiet and enjoy my privilege and have a Hezekiah mindset, “The word of the Lord is good as long as there is peace and security in my neighborhood.” Let me just live nice and calm in my gentrified neighborhood and enjoy all the benefits. I think of St. Paul imprisoned for serving God. So many times society lashes out unjustly and unfairly against people who were doing what was right. Imprisonment often among believers is not a shame, but a rite of passage. As believers we are held to a higher standard than the letter of the law. My ultimate allegiance is not to the constitution (although I respect it very much and often read it to remember), but to the Lord. And yet I’m all for religious freedom, tolerance and interfaith dialogue it seems a bit confusing, but it does make sense in my mind. Seems we’re pretty much on the same page, Mj. Although nowadays I wouldn’t say things like “my ultimate allegiance is not to the constitution … but to the Lord” any more because, as I tried to explain, while the constitution is pretty clear, everyone has a different view of God and what beying loyal to God means. In the end, as unchristian as this sounds, I’m more loyal to my own conscience than even to the Bible. Because in the end, it’s my conscience that tells me the Bible is right and not some other holy book, and that also tells me how to interpret the Bible and what’s important and relevant for me. The words in the Bible are many and are confusing, and it is often unclear which are valid in which situation and how to interpret them today. So you need more than the Bible: You need sound reasoning and logical thinking, love and empathy, the Holy Spirit and finally your conscience. All these are given by God and must be used. So in my view it’s much more complicated than saying “I’m only loyal to the Lord”. There are too many people who claim to do so, but fail to use all the God-given tools I mentioned above. Some even become suicide bombers while believing they are only loyal to God. I would take that a bit further and expound on the definition of context. Context also implies character, morals. An amoral person with a text is even more dangerous because they have ammunition with which to wield their power and crush many many people breaking bruised reeds and and snuffing out smoldering wicks. But then again, how can delayed gratification, self-sacrifice, empathy and humility be taught? They are individual choices that everyone has to make. Everyday there are value conflicts. Am I going to choose self-preservation and comfort or am I going to choose risk? Am I going to choose to trust the Lord (or my idea of the Lord/past experiences) or my own abilities. That’s why when we read about the sons of Samuel and King David, their children are not automatically God-fearing. And whose fault is that? In the end it is a person’s personal decision. God has given us freedom to choose. How will I act when no one is looking? How do I act when I am in a tough situation? i.e. a tea bag reveals its true colors in hot water. I agree with pledging allegiance to one’s conscience. A conscience, a moral compass is inessential, but unfortunately in our day and age it has become a rare thing.